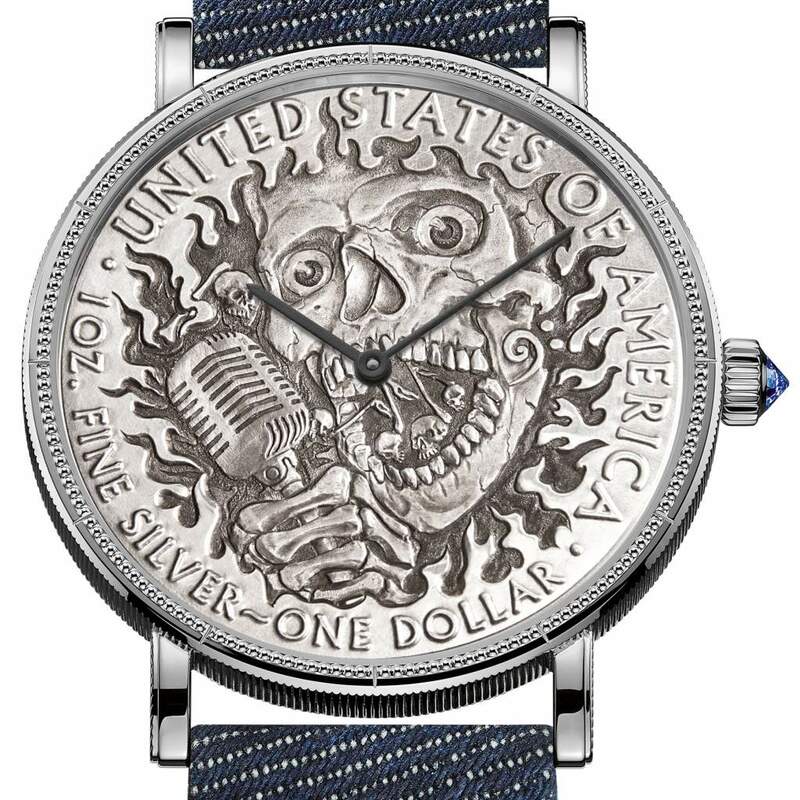 The Grand Prix d’Horlogerie de Genève this year welcomes two notable additions: Challenge Watch Prize and Audacity Prize. The former opens to watches with a retail price under CHF 4,000, and for the first time, smartwatches are admissible in this category. 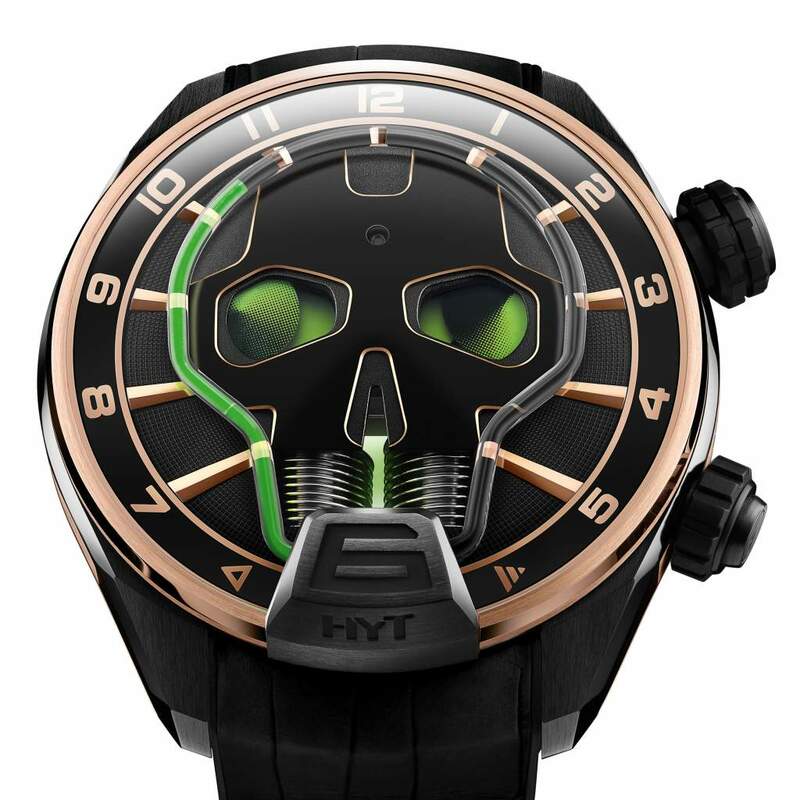 By facing the “crisis” of the smartwatch tide, Swiss traditional watchmaking is embracing the trend, as some affordable, even some mid to high end watch brands that don’t have heritage/history restraints, have had their brand-labeled smartwatches in the market. For traditional “traditional” brands, their high positioning and pricing strategy may not be affected in short term. While for a long haul, the popularity of smartwatches may bring a habit shift: young people may lose their potential interest, and even sense of wearing (expensive or not) a mechanical watch. GPHG welcomes smartwatches, an initiative of keeping pace with time. The Audacity Prize rewards the best watch, presented in one of the 12 categories, which features a non-conformist, offbeat approach to watchmaking. The prize is discretionary and the jury will decide whether there are grounds for awarding it in 2018. The most common symbolic use of the skull is as a representation of death and mortality. Evolvingly human skull symbolism has been becoming an everlasting icon of popularity. It makes us wonder: except for some special professions, is serious watchmaking really for people wearing to tell the time? 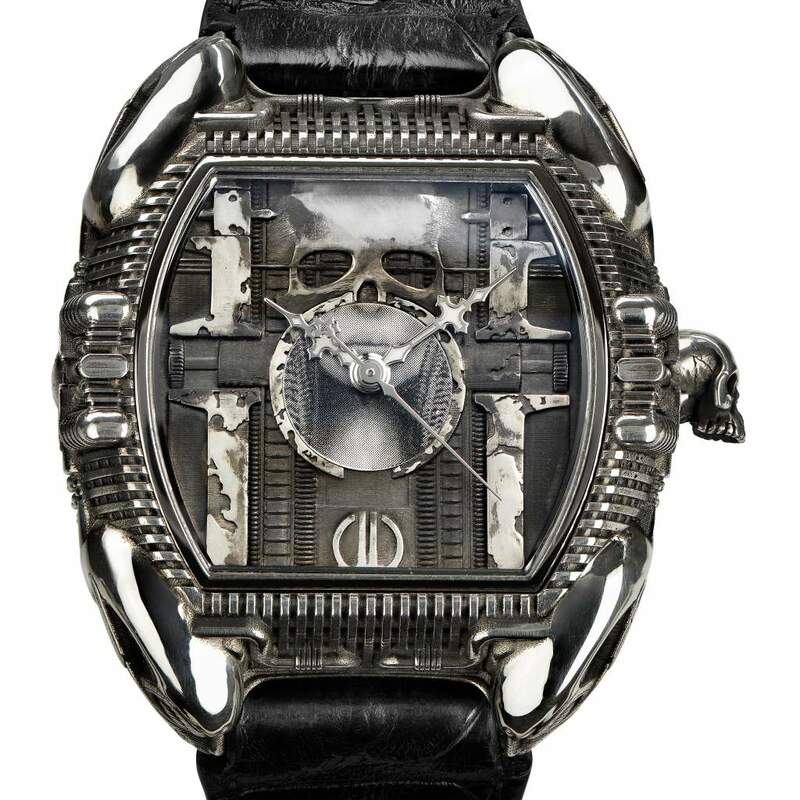 We hence list reasons as below to explain why are we wearing an “expensive” mechanical watch? 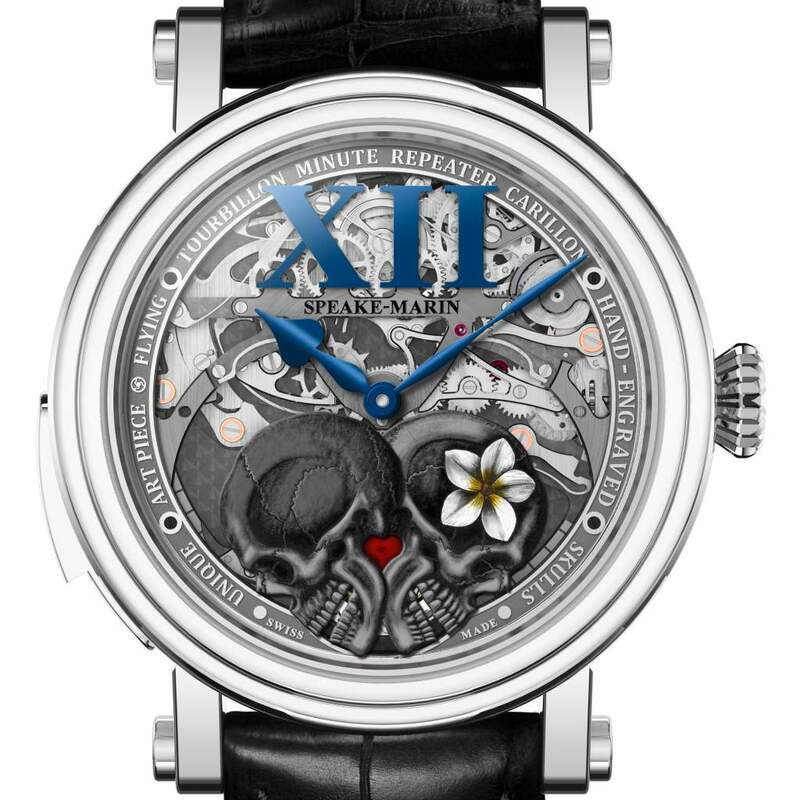 In this sense, traditional fine watchmaking brands have seen its opportunities. From 1 to 17 June, TAG Heuer brought its exhibition tour “Museum in Motion” to Shanghai, in its flagship store at West Nanjing Road. 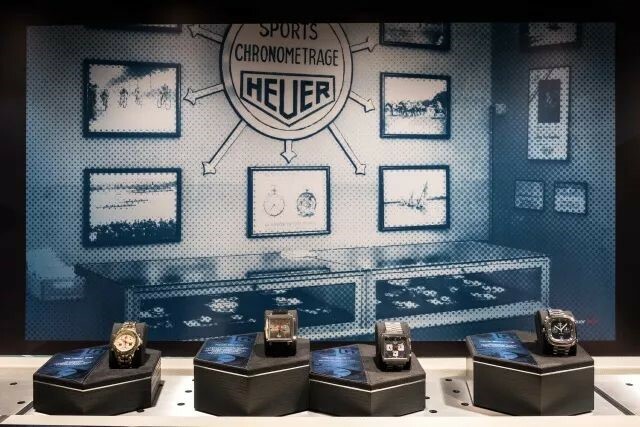 The exhibition not only displayed the rare historical timepieces that are housed in Musée International d’Horlogerie, but also presented some private collections from collectors. 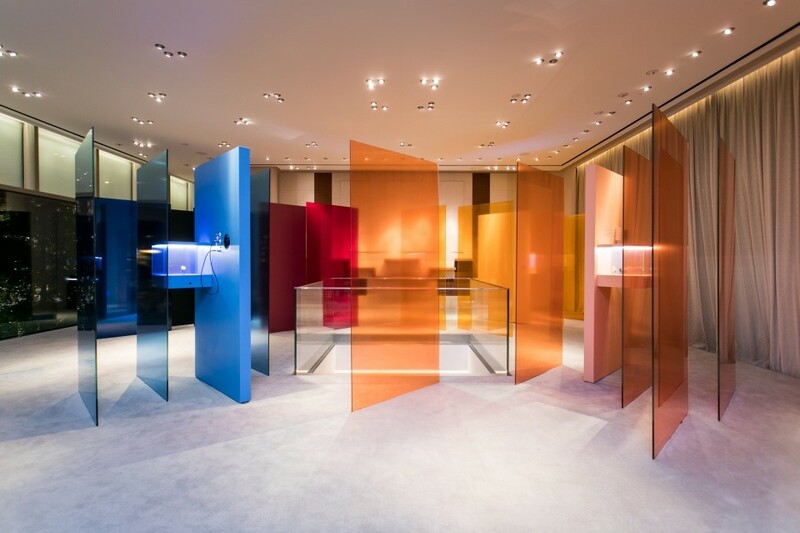 From 6 to 17 June, Hermès held the “Time, Hermès” exhibition at its boutique of Sino-Ocean Taikoo Li Chengdu. Hermès Slim d’Hermès GMT, Carré H, Cape Cod and Arceau Casaque watches were displayed in a playful way in this exhibition. 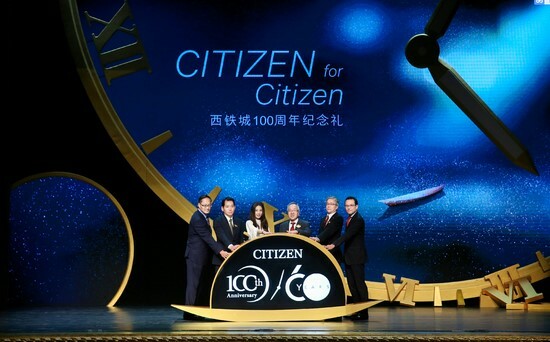 On 8 June, CITIZEN presented a gala event to celebrate its 100th anniversary and the 60th anniversary of entering in China at the Reignwood Theater Beijing. Ms. Hebe Tien, celebrity from Taiwan and Brand Ambassador of CITIZEN, Mr. Toshio Tokura, President and CEO of CITIZEN, Mr. Jukawa Tatsuo, General Manager of CITIZEN China attended the event. CITIZEN specially presented 6 classic timepieces and 9 limited edition timepieces for the 100th anniversary. On 10 June, OMEGA held the “Bright Sky” Constellation Series Exhibition at SKP Beijing. Mrs. Liu Shishi, Celebrity Ambassador of OMEGA, Mr. Hua Yang, Vice President of OMEGA China, Mr. Jean-Pascal Perret, Vice President of Public Relations and Marketing Communications of OMEGA, Mr. Koichi Sagae, Assistant Store Manager of SKP Beijing attended the event. In the exhibition, OMEGA specially presented 36 timepieces of the Constellation Series which include Globalmaster, Constellation Petite Seconde and “Blue Sky” Limited Edition Ladies watch. 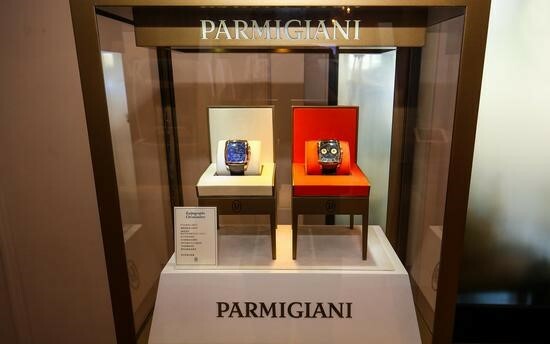 On 14 June, the Parmigiani Fleurier Kalpa collection made a glittering debut in Shanghai. Mr. Michel Parmigiani, the watchmaking and restoration master, Brand Founder of Parmigiani Fleurier and Mr. Mingliang Dong, General Manager of Parmigiani Fleurier China attended the launch event. The event not only presented Kalpa Hebdomadaire, Kalpagraphe Chronomètre and Kalpa Chronor watch that had been launched in 2018 SIHH, but also launched the brand-new Kalpa Qualité Fleurier timepiece. On 16 June, Jaeger-LeCoultre hosted a gala dinner, at which a charitable auction was held to contribute to the restoration of classic Chinese films, as well as a themed exhibition that embodies the brand’s spirit at the Expo I-Pavilion Shanghai. Ms. Catherine Rénier, CEO of Jaeger-LeCoultre and celebrities Mr. Boran Jing, Ms. Ni Ni, Ms. Joan Chen and Mrs. Hong Tao attended the event. The Rendez-Vous Night & Day Tribute to Cinema, created for this unique anniversary, made its appearance at the exhibition during the festival. Moreover, the brands’ new collection Jaeger-LeCoultre Polaris, together with the Master and Reverso collections and antique pieces and fine jewelry watches were also displayed at the exhibition. 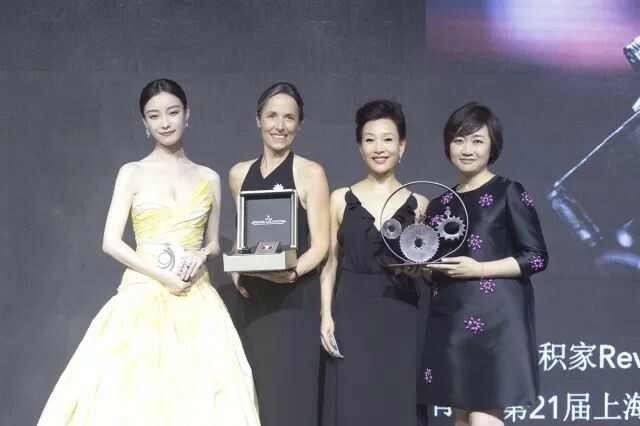 The Jaeger-LeCoultre Glory to the Filmmaker Award, initiated with and for the Venice International Film Festival, made debut in China, honoring pioneer filmmakers who have made breakthroughs in Chinese cinematics; Ms. Joan Chen received the award. On 19 June, BVLGARI held an opening party for its screening unit – A Flamboyant Festa by BVLGARI at the Former Site of Shanghai General Chamber of Commerce (BVLGARI Hotel Shanghai) during 2018 Shanghai International Film & TV Festival. 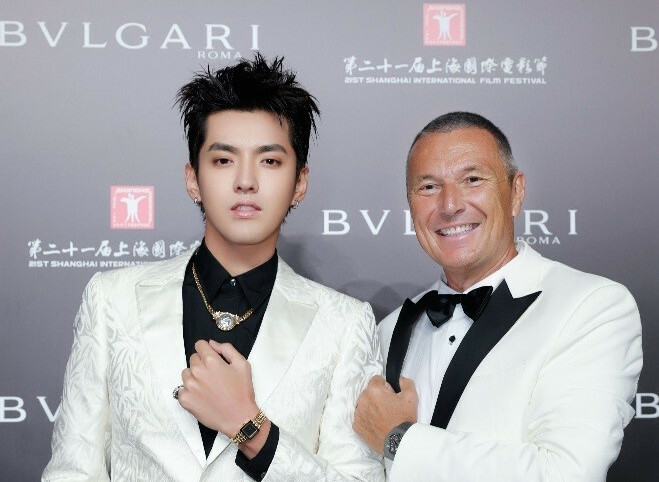 Mr. Kris Wu, Global Brand Ambassador of BVLGARI and celebrities Ms. Sammi Cheng, famous singer of Hong Kong, Mr. Stephen Fung, famous actor and director of Hong Kong, Mr. Jean-Christophe Babin, CEO of BVLGARI Group, Mr. Kolia Neveux, General Manager of BVLGARI China attended the party. On 26 June, “HUBLOT Loves Football” Exhibition was held at SKP Beijing. Mr. Loic Biver, Brand Director of HUBLOT China and friend of the brand Mr. Johnny Huang attended the event. 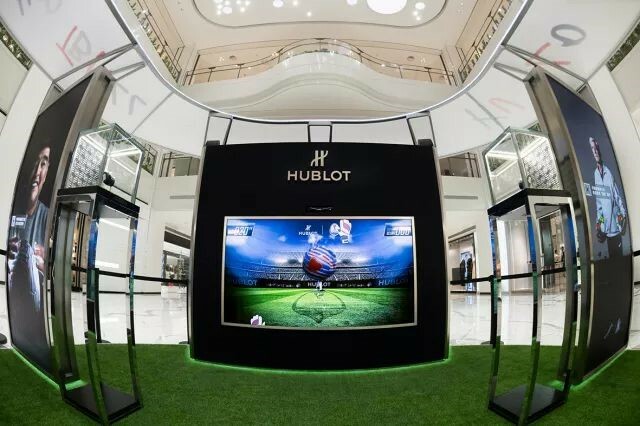 The exhibition retraced the connection between HUBLOT and football. On 27 June, Breitling celebrated the grand opening of its first flagship boutique in Asia in WF Central Beijing. 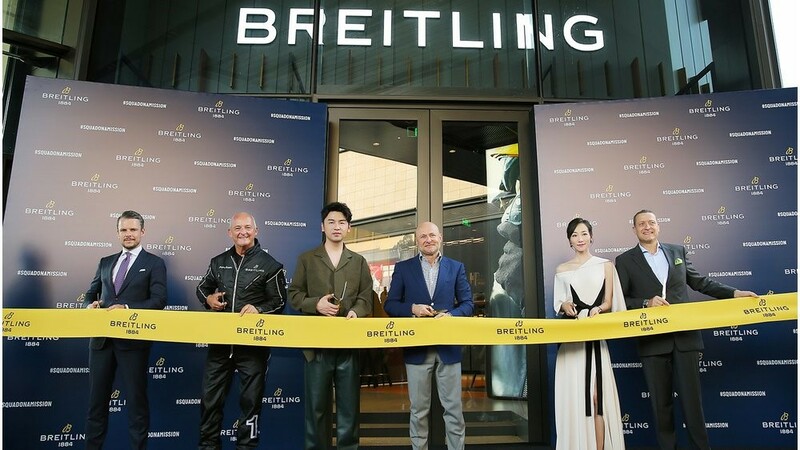 Mr. Jiayin Lei, Chinese famous actor and friend of the brand, Ms. Cecilia Han, Chinese famous actress, Mr. Georges Kern, CEO of Breitling, Mr. Jacques Bothelin, Captain of Breitling Jet Team attended the opening ceremony. The brand-new design concept of Breitling flagship boutique in WF Central incorporates a comfortable and fashionable shopping space for customers and a display of more than 200 exquisite timepieces representing Breitling’s entire product range, along with the Navitimer 8 novelties and some exclusive limited editions. Wearing a delightful smile on each of her public appearances, Liu Tao infuses her acting career with a very special glow. Immediately won over by her positive attitude and contagious optimism, Chopard’s Co-President and Creative Director Caroline Scheufele recognised in her a symbol of the values instilled in the Maison’s iconic Happy Diamonds collection. It was then that Caroline wanted to ask Liu Tao to serve as brand ambassador and muse of these creations associated with the joyful moments in the life of the women who wear them – and fly high the banner of their joie de vivre.